Softer, lighter and more robust than cow leather. The special character makes the difference. 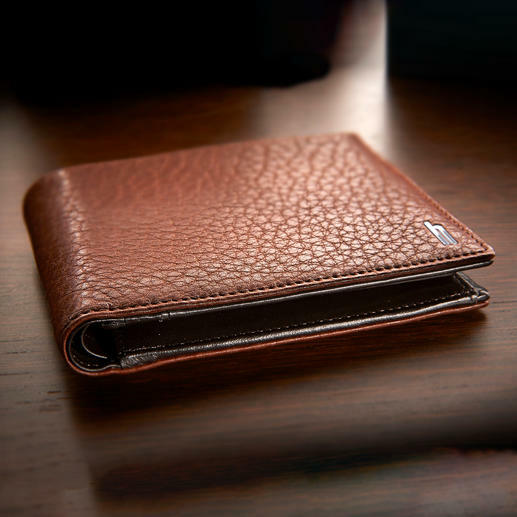 The wallet for life: Made of rare buffalo leather, exquisitely processed. By Hartmann, specialists in luxurious leather goods since 1877. Exclusive to Pro-Idee. For 140 years, Hartmann has been known in the USA for premium and practical travel baggage, and is since Autumn 2014 available in Germany too. Now, the luxurious brand also offers small leather goods – such as this wallet made of rare buffalo leather. It looks and feels nothing like conventional wallets. The thick, striking leather is by its nature extremely durable. It comes from Tennessee, USA, where the animals live in the wild on large ranches. Each skin is unique. Scars from hedges or other injuries only go to prove the authenticity. Gently tanned and aniline dyed in Germany to create the extraordinary bi-colour. Inner lining made of lamb nappa leather. 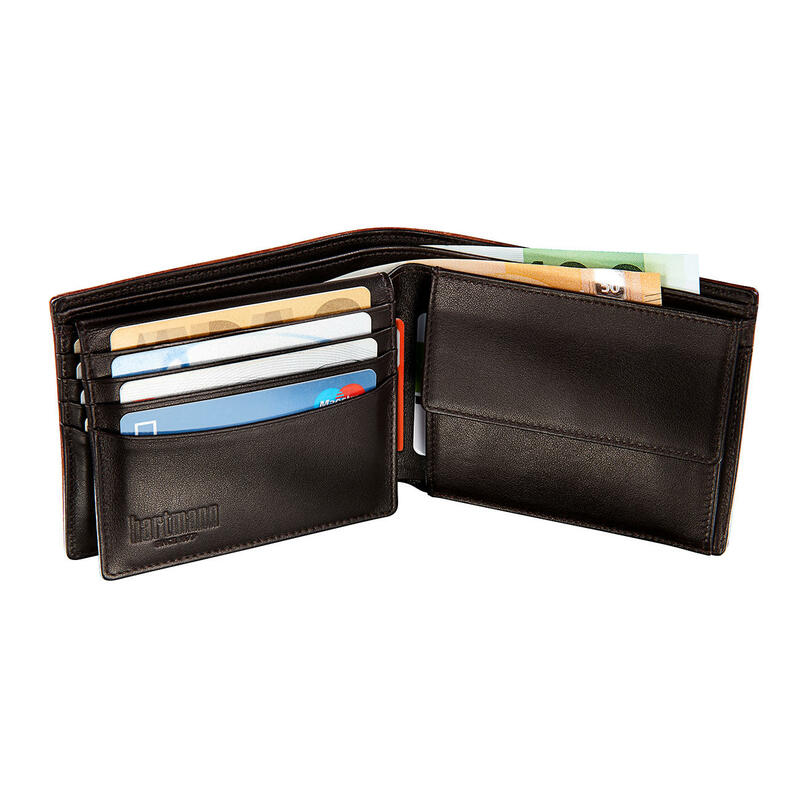 With eleven card slots, four slot pockets (one with window), change pocket with press stud and two bill compartments. Colour: Cognac, dark brown. 100% leather. Inner lining: Lamb nappa leather. Measures 12 x 9,5 x 1,5cm (4,7″ x 3,7″ x 0,6″) (L x W x D). Weight: Approx. 103g (3,6 oz). Exclusive to Pro-Idee.